Have you tried the latest? Cooking in a mug? CorningWare Meal Mugs make memorable meals and are as easy as can be. 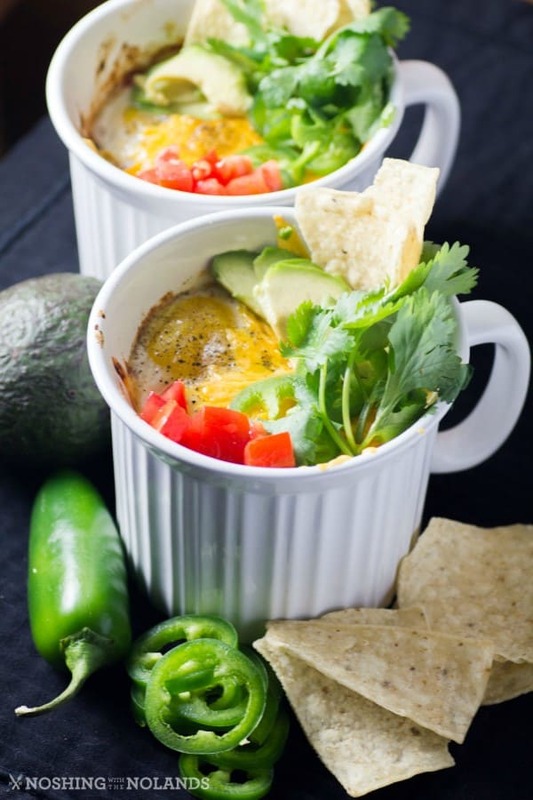 Our daughter has done cakes in small mugs in the microwave but these Meal Mugs are lovely and big and definitely hold an entire meal, like this Easy Cheesy Huevos Rancheros. Kids will love these as well as parents cooking in them. Meal Mugs offer easy convenience and little clean up as they are made of a durable stoneware and go from freezer to pre-heated oven (they need even heating), refrigerator to microwave and are easily cleaned in the dishwasher. Got to love that simplicity!! 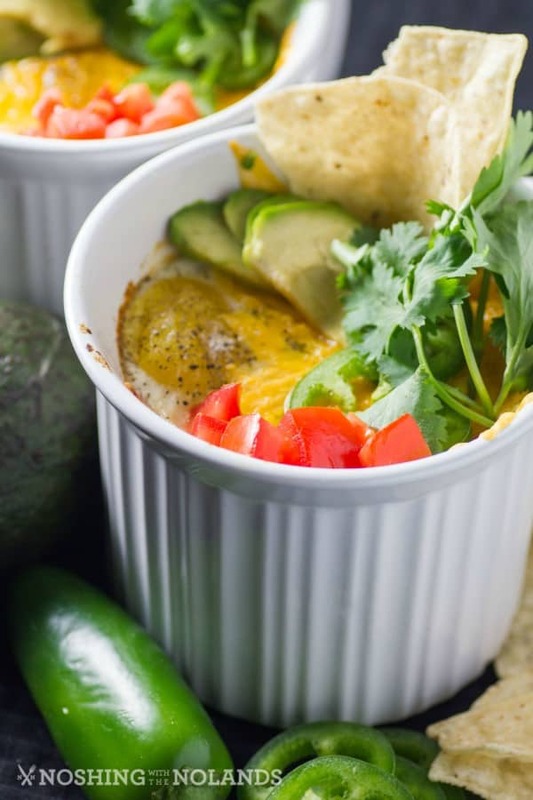 After I received four gorgeous mugs from CorningWare I got busy in making these Easy Cheesy Huevos Rancheros. You just need traditional ingredients and a spectacular meal is yours in no time at all!! Let’s dig into this recipe!! I love Huevos Rancheros and everytime we are in Mexico I order it if possible. Some of the resorts offer a new dish each day. Something creatively arranged by the chef, mmm, heavenly. Have you had Huevos Rancheros before? It is a popular Mexican dish consisting of eggs, tortillas and a spicy tomato sauce. Sometimes other ingredients are added in to what is fresh on hand or an imaginative addition. For us we used the traditional refried beans, chorizo and lots of cheese to make an amazing meal in a mug!! This dish can be cooked either in the oven or the microwave with similar delicious results. The non-porous surface of the Meal Mugs do not absorb food, odours, flavours or stains. So you can make these and then a cake right after!! For the microwave a patented vented lid comes with the mug to prevent splashing and keeps in the steam. The lids are not for the oven and are top-rack dishwasher safe. CorningWare Meal Mugs can be purchased from Amazon.ca, Walmart Canada, Loblaws, Home Outfitters, London Drugs and Shop World Kitchen. 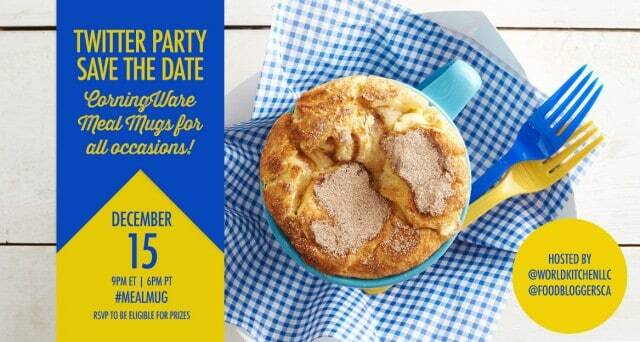 RSVP to be eligible at MealMugTwitterParty! A Mexican favorite breakfast is made easy in CorningWare Meal Mugs, Easy Cheesy Huevos Rancheros. Preheat oven to 350F. In four CorningWare Meal Mugs start to layer in the ingredients. Cover the bottom of the mug with a thin layer of refried beans. Top with ¼ cup of cheddar cheese, then about 1½ links of Chorizo sliced. Cover this with a thin layer of salsa. Then a layer of crushed tortilla chips. Then another layer of beans, Monterey cheese (1/4 cup), and salsa. Crack an egg on top and season with salt and pepper. Place a small additional amount of grated cheddar on the whites. Place on a sided cookie tray and transfer to the oven. Bake for 25-30 min. uncovered until egg is done the way you like it. Make sure the whites are cooked. Remove from oven and garnish with the tomatoes, jalapeno, avocado, cilantro, tortilla chips and hot sauce if using. Tips: To cook sausage, place in a CorningWare dish and bake at 350F for 30 min. or until browned and cooked through, turn at least once. Microwave: Cook in the microwave with the lid for 2-3 min. or until heated through and the egg is done to your liking. This is a sponsored post by CorningWare that I have been compensated for but all words and opinions are my own. That looks so good! I make Southwest and Mexican food all the time, so I can’t wait to put this into my rotation. Yum! That looks absolutely delicious! My husband loves stuff like this so I may have to surprise him with it for dinner tonight. I love these meal mugs. CorningWare makes quality products that I trust. I’ll have to get a set for the house. Love those cups, we are in need of some new dishes and I would like white… a classic color. This is a different recipe for huevos rancheros than the traditional one I’ve always made! Can’t wait to try it! Oh wow! This looks SO good! Lots of great flavors! Definitely trying this! all i can do is say wow. this looks so fresh and delish. great photos. 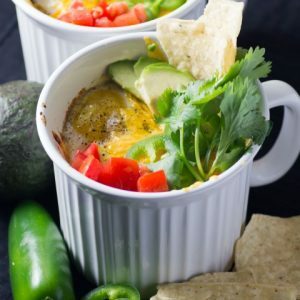 this looks like the quintessential breakfast mug- I love how fresh and healthy it is- and EASY! My kids would be thrilled to see these waiting for them at the table! I like those mugs because it’s nice to have a wider mouth for dipping and such. Yummy recipe too. This dish looks so delicious and easy to make. I will have to give this recipe a try this weekend. I have never tried Huevos Rancheros before. I will have to get the ingredients I need to make some. They look so yummy I can not wait to try them. Huevos Rancheros are going to be a big hit with my family. It looks so good I wish I could have some right now. YUM! This would be perfect for our Sunday breakfast. It’s the only day we get to sit down together and enjoy breakfast as a family. OH these look so delicious for breakfast! I love the mug idea! Mmmm, this is right up my alley! Yum, I grew up on huevos rancheros so this is amazing.